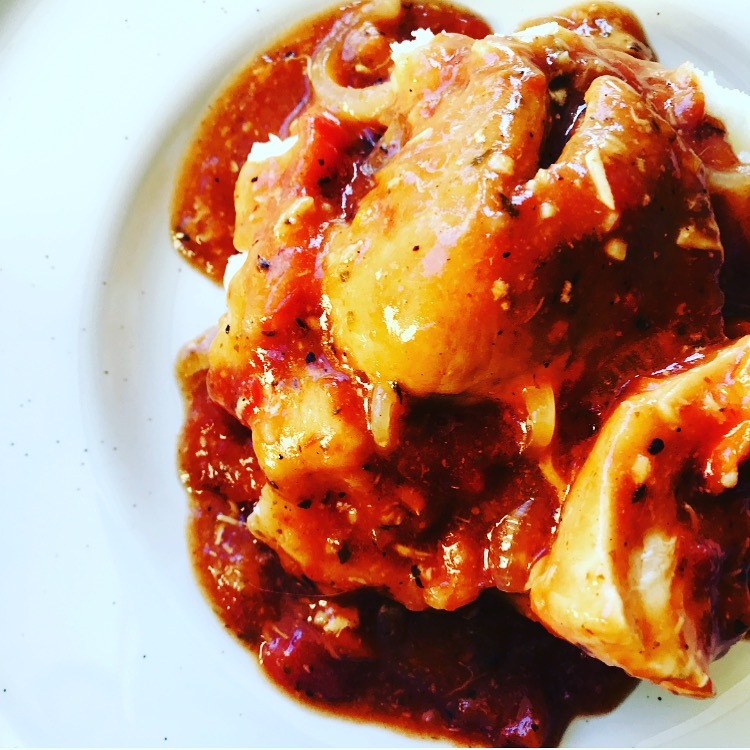 Chicken Cacciatore, for the fussiest 👌🏻 this is a super easy recipe that I threw together in the slow cooker just after 6.30am… not being the follower of usual timing methods due to work hours, if I’m slow cooking I let it cook low and slow pretty much all day. I was a little unsure if some of my family would eat it but come 7pm tonight they’d cleaned their plates & had seconds – win! 😃 For this, I would normally add mushrooms and some halved green olives… but when cooking for the fussiest I’ve omitted the extras (that and the supermarket isn’t open at 6am when I’m usually preparing something for the slow cooker)! Feel free to add some quartered button mushrooms and 1/4 cup of sliced green olives for a little extra flavour. Mix together the cornflour, all herbs and spices, stock, relish and diced tomato in a jug. Add the onion, carrot and chicken to the slow cooker and pour over the tomato mixture. Add olives and mushrooms if desired. Serve over mashed potato with greens.